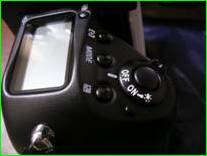 In October 2004, Nikon F6, the sixth in F single-digit series was introduced. The fifth in line, F5, became an old model. 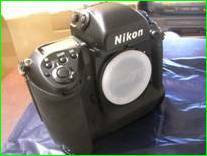 At first, I was glad that Nikon decided to continue its flagship film camera line in the advent of digital SLR cameras. Then I realized that a new camera meant that the old model will soon be put out of production. Obviously, when a product goes out of production, you will not be able to purchase it new. You have to get is second hand. That was something I desperately wanted to avoid in case of F5. 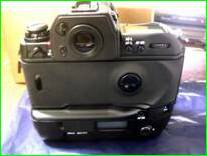 I wanted a brand-new F5, but funds were limited, so I searched for a shop that sells the F5 for around 200000 yen. After looking everywhere, I came across an on-line shop. This was a shop where I once placed an order for a lens (Nikkor 80-400mm VR), and received a curt reply stating that it was out of stock. Though feeling a little apprehension, I placed an order. The shop's response was surprisingly positive, and the F5 arrived at my home. 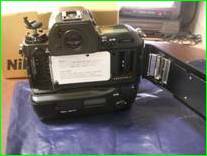 I had been using digital SLR D100 with battery grip attached for some time, so F5 didn't feel especially large or heavy. In fact, it felt incredibly light and compact, considering its performance and durability. 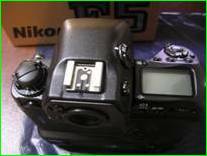 Nikon F5 is the fifth professional camera produced by Nikon (often referred to as the F single-digit series), and the second in the series with auto focus integrated from the start. Auto focus system in the mid-1980s and early 1990s were rather primitive, and F4's (introduced 1988) AF is no exception. 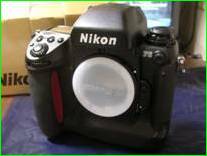 In fact, AF of Nikon F-401, a consumer-grade model (i.e. cheaper) introduced a few months after F4, was more advanced than the one adopted for the flagship model. 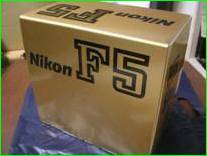 In that respect, F5 is the true professional-grade auto focus camera produced by Nikon (AF of F5 can still compete with the latest AF cameras introduced nearly a decade later). 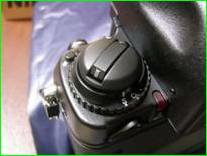 Since its successor F6 shifted its target to amateur use as well, F5 can also be considered as the last true professional-grade auto focus film camera. 4. Rather compact considering its performance and durability. 5. Fitted with vertical release. 6. Using proprietary battery, firing rate of 8 frames per second is possible. Even when using AA batteries (8 batteries required), 7.4 frames per second is possible. 1. Although as not as much as the F4, every buttons and dials seems to have locking mechanisms that supposedly prevents accidents. This makes the camera cumbersome. 2. It is compact when considering its performance and durability, but as a camera, it is large and heavy. Vertical grip, unlike its predecessor F4, can not be detached. Therefore, the user has no option of reducing size and weight of the camera even if the user is willing to sacrifice its performance. It seems many users complained about this fact, and succeeding F6 reverted to vertical grip that is detachable. 3. Neck strap included in the set is shockingly cheap-looking.